Guaranteed fun. What do you get when you mix role-playing and action components and garnish it with cel-shaded looks and a loose sense of humor? Right: Borderlands 2. 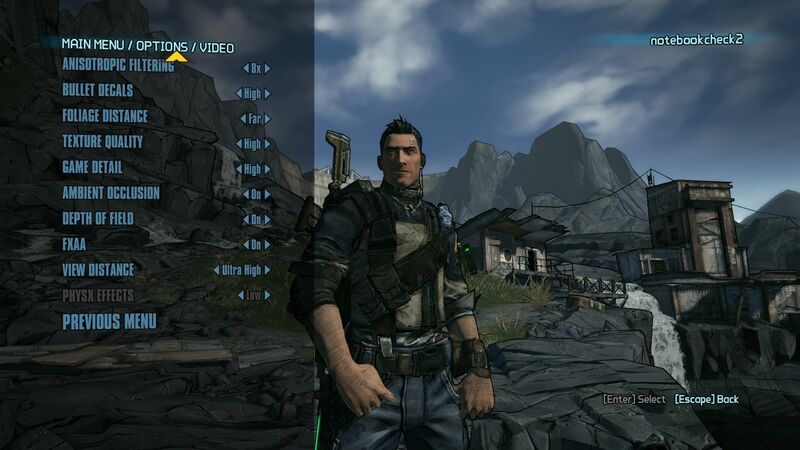 We looked closer at the colorful, exotic blend and checked Unreal Engine 3's hardware hunger. 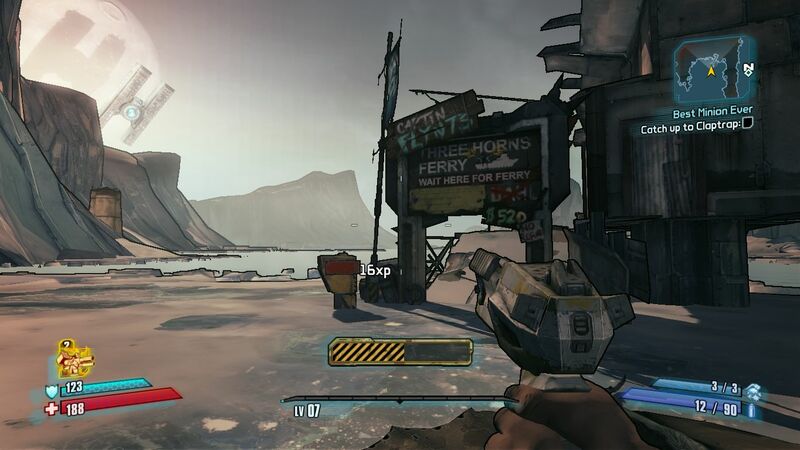 Although the first part proved to be repetitive after a while, Borderlands conquered the hearts of many players. 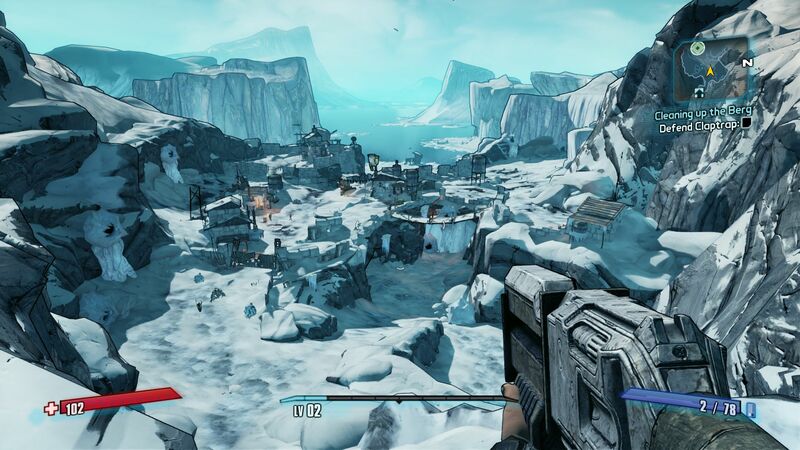 The game clearly stuck out of the mass of first-person shooters due to its witty gameplay and the fun co-op mode. The developer Gearbox not only promises a bigger game world but also more variety for its ambitious second part. We will supply a brief evaluation of gaming quality and analyze the performed benchmarks. 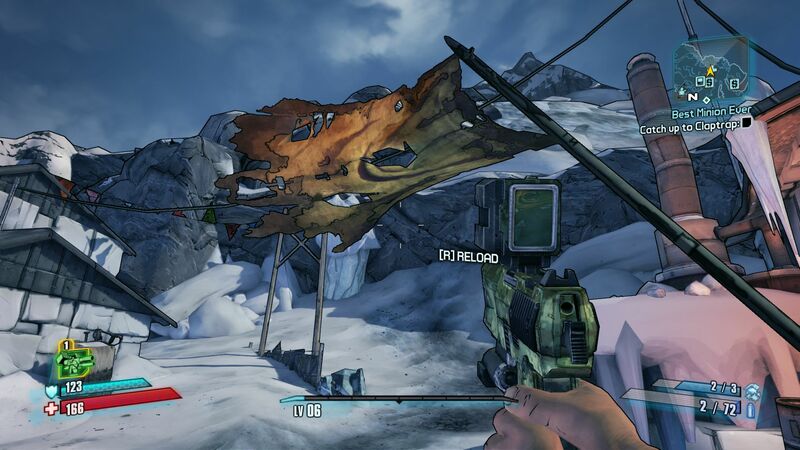 The player notices Gearbox's talent for design and humor right from the start. 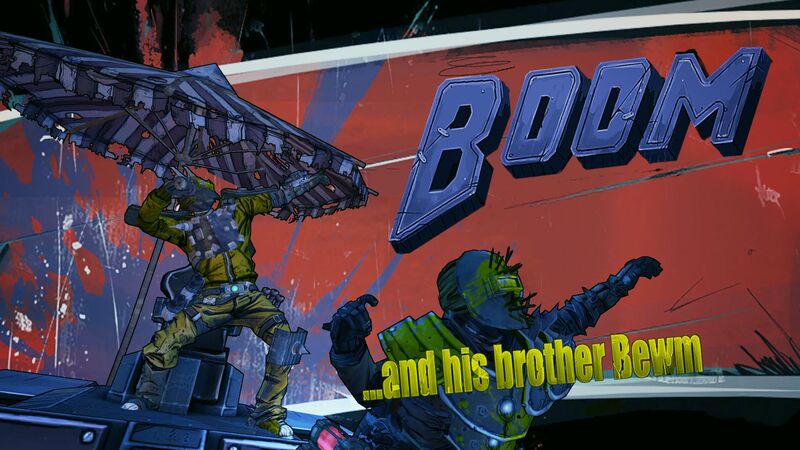 The illustrated story preview, inspired by "Diablo III" and "Darksiders II" style, is followed by a cool and extremely humorous intro video that sets the mood for the crazy and apocalyptic scenario perfectly. Similarities to Id Software's "Rage" cannot be denied. Various wild clans and gangs cavort in the post-apocalyptic scenery. 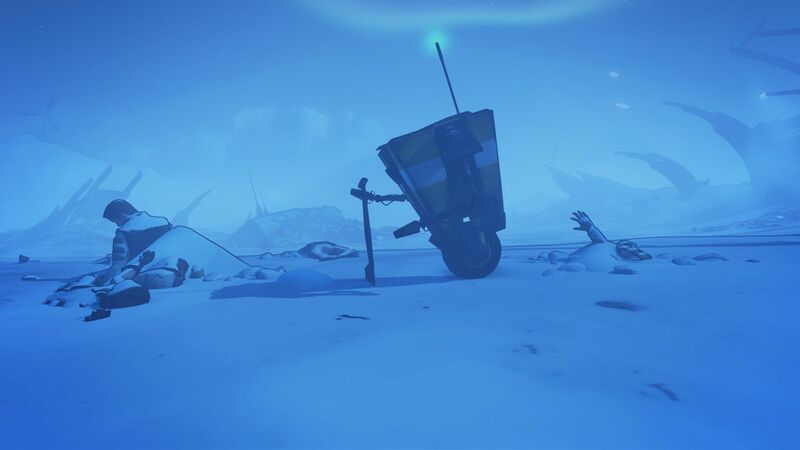 Moreover, armed buggies serve as a means of transportation in the later course of the game. However, the innumerable monsters and creatures do not represent the greatest menace. 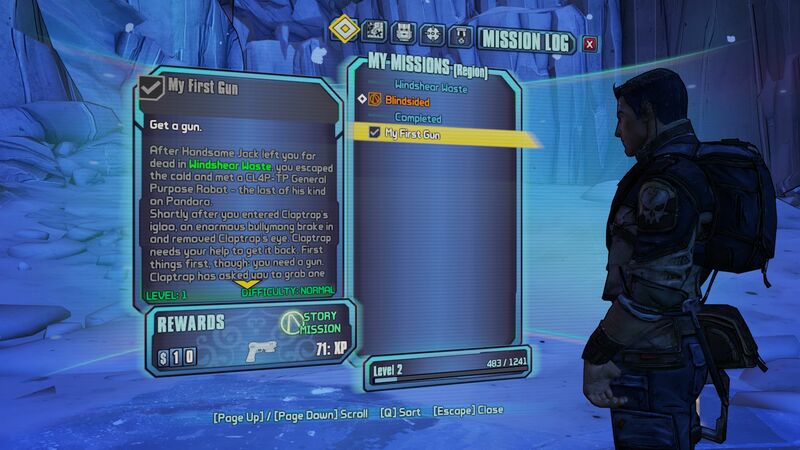 That is primarily left up to the company "Hyperion" and its leader "Handsome Jack", who also has it in for the hero right from the start. The player, respectively the player group (part 2 also features a co-op mode), is a victim of attack in the aforementioned intro video. 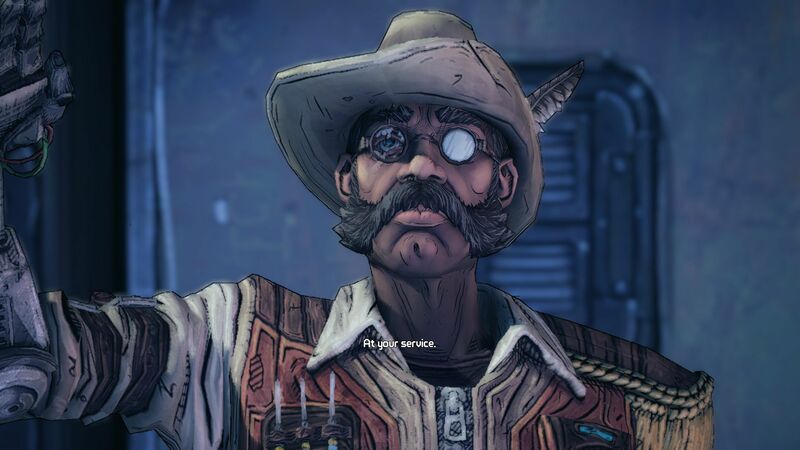 Thanks to the chatty robot "Claptrap" and "Sir Hammerlock", a technical savvy cowboy, you quickly find your way around on the planet "Pandora". …and leads the hero to its abode. The apartment is of course secured. 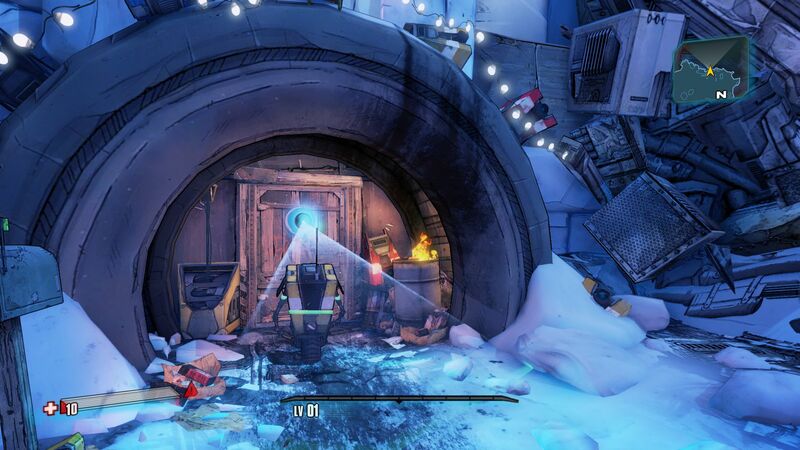 Claptrap's apartment is nicely done up. 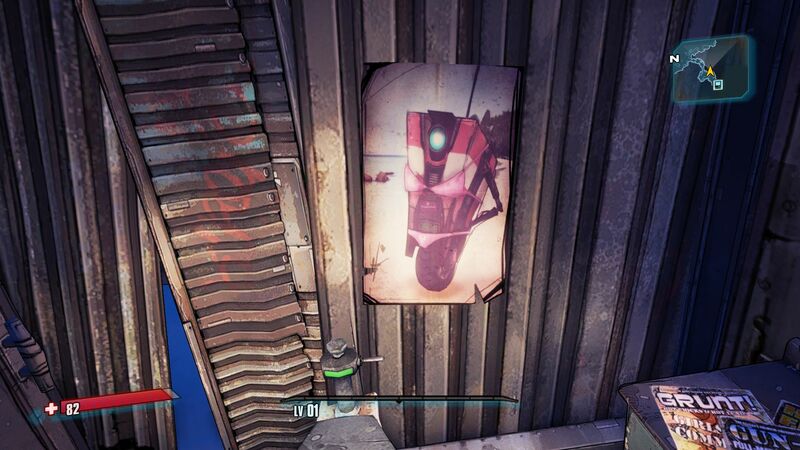 Amusing posters decorate the walls. The symbol language partly reminds us of Fallout and Portal. 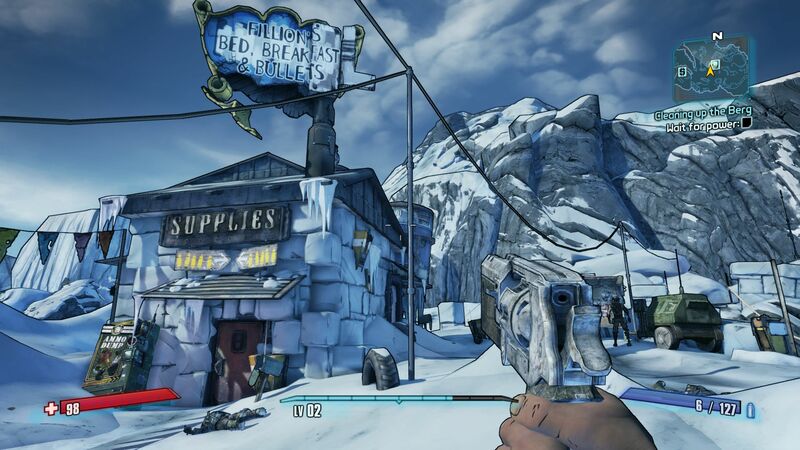 Keyword Cowboy: despite the snowy setting, Borderlands 2 often proves to be a tribute to the Western genre. Alongside the atmospheric day/night change, the excellent soundtrack and the ever-present humor, the game creates a unique mood. The refreshing comic-like graphics contribute to the successful overall impression which is characterized by clear lines, black contours and bright colors. A comparable cel-shaded look is found in the comic adaption "XIII". The developer earns special praise for the extremely soft controls. Only a few first-person shooters, such as "Quake", "UT" or "Doom" come close to the game's "movements". The character moves extremely sleekly over the screen, provided an adequate frame rate is possible. Evading as well as high jumps is usually possible without difficulties. The same is true for weapon usage. The combats are a lot of fun thanks to the multifarious weapons and the sated hit feedback (both visually and audibly). 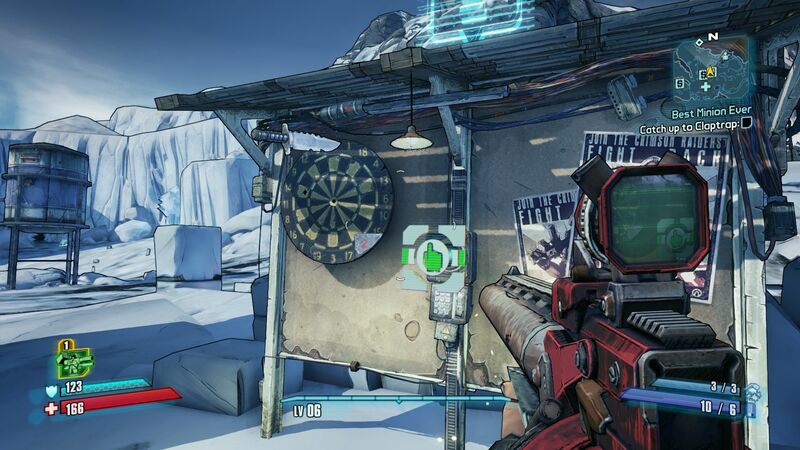 Borderlands 2 fuses action and role-playing components. A map helps you find your way around. The inventory could be a bit more user friendly. The three-branch skill trees include many exciting abilities. 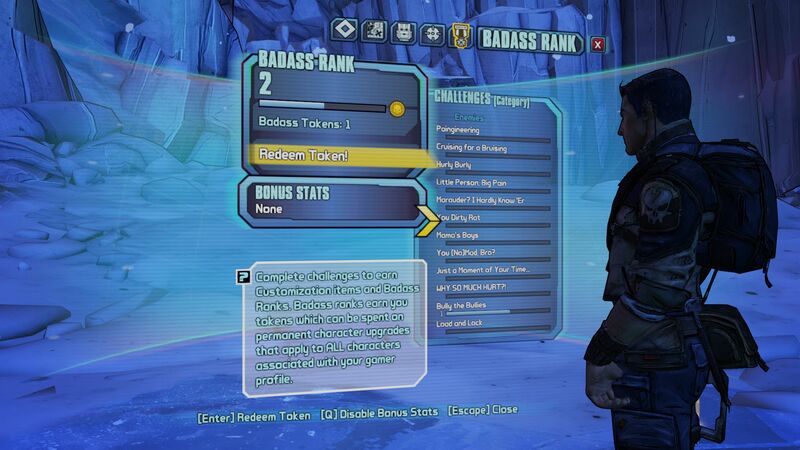 Mini challenges increase the badass rank. Damage is shown right away. The menu system is not optimal. While the quest log, map and skill tree are still fairly easy to use, the inventory is a bit unhelpful - despite the comparison function - because the knapsack is filled pretty fast (greetings from "DayZ") and you need to click quite a lot for certain actions. However, the store and respawn system annoyed us most. 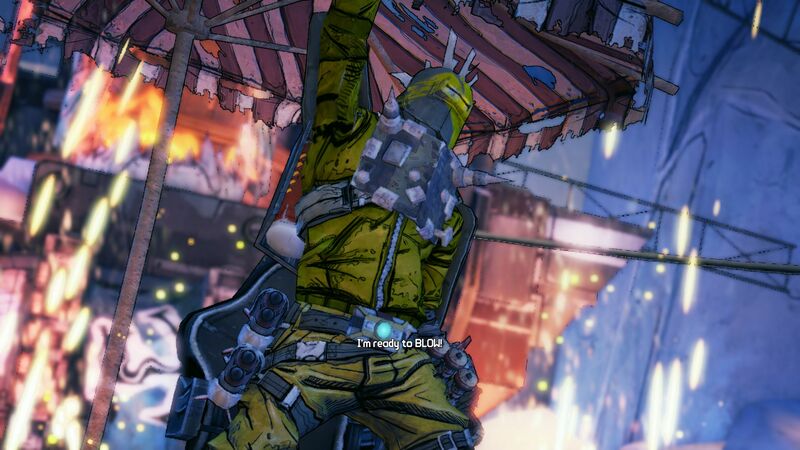 Just like in Borderlands, the game replaces finished rivals and boss opponents after a while. 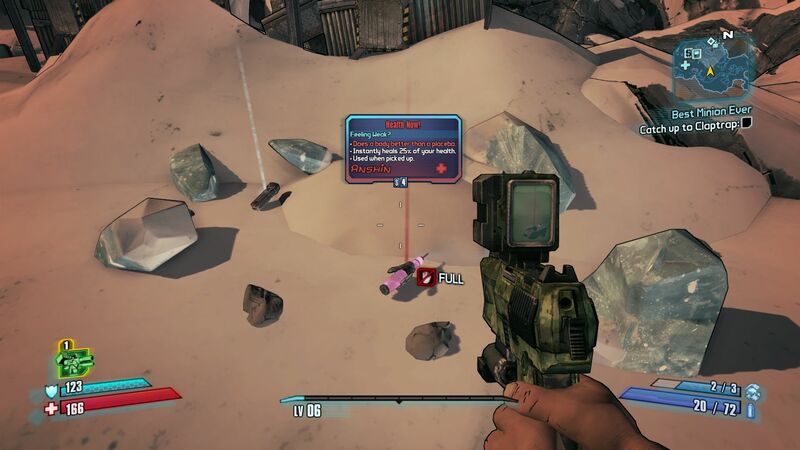 The widely distributed chests, boxes and cupboards are also eventually refilled with loot. In our opinion, this design decision obscures the feeling of progress. Why should you investigate every angle when everything is as it was the next time you start the game? The Diablo-typical search and collect concept will not motivate every gamer in the long run – regardless of how amusing the missions are. 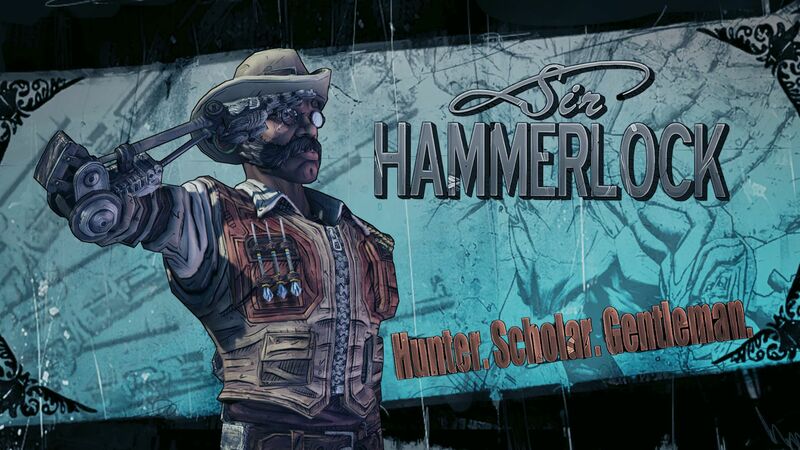 Sir Hammerlock is one of the first contacts. 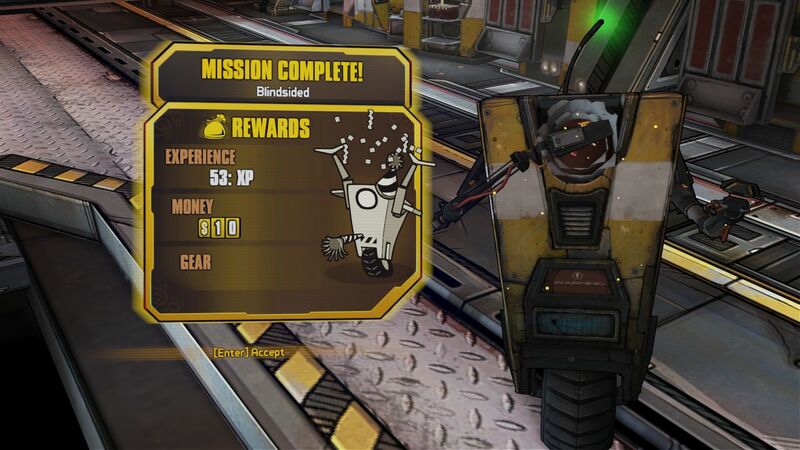 Gearbox fires from all cylinders. 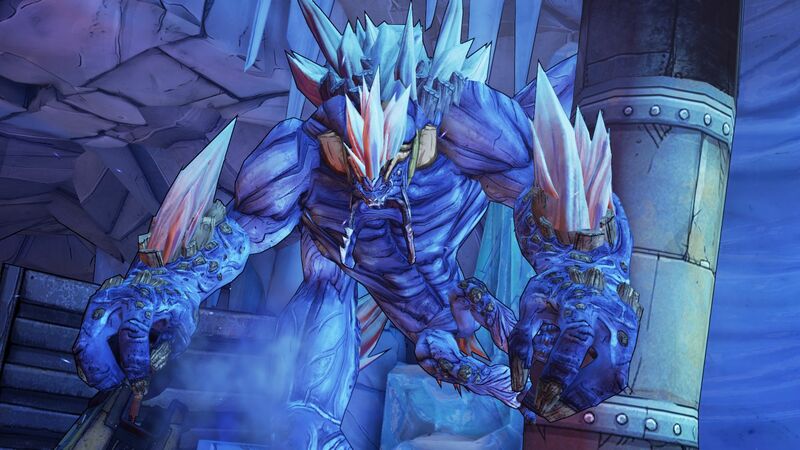 Important characters and monsters are introduced individually. The writers were apparently given free hand. The comic-like look clearly sticks out from the competition. The benchmark sequence we selected is as usual quite challenging. We recorded a sprint of roughly 20 seconds in the tutorial village via the tool Fraps. 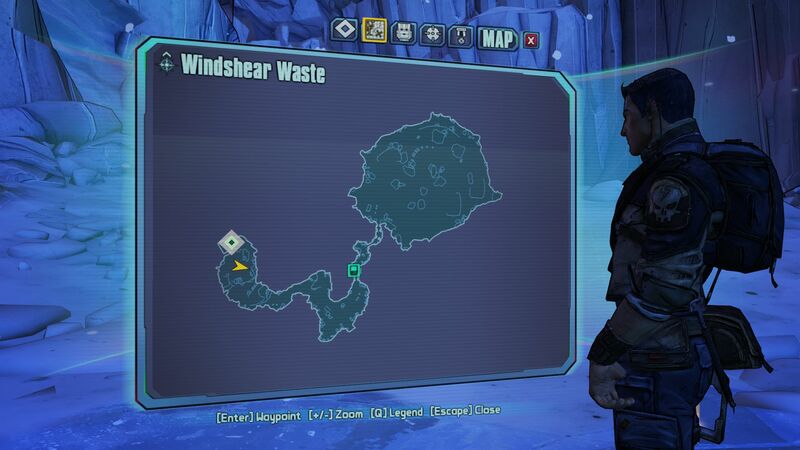 The starting point was the village entrance or exit which is reached shortly after encountering Claptrap. 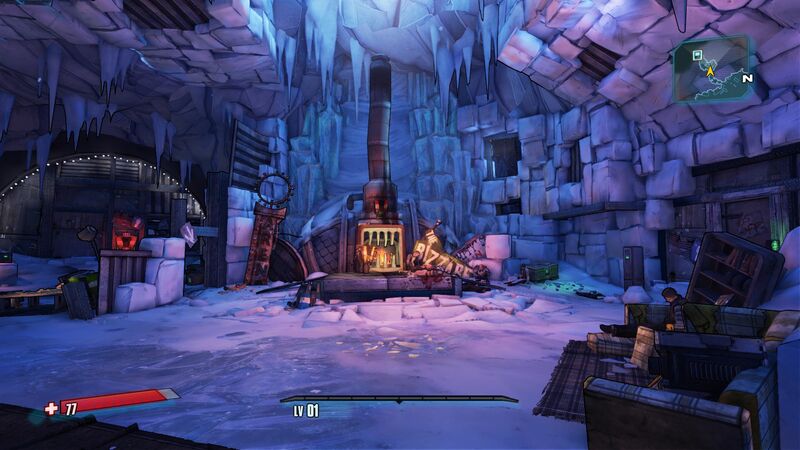 The goal is the free-standing house where Sir Hammerlock barricades himself with a wall of ice and an electric fence. 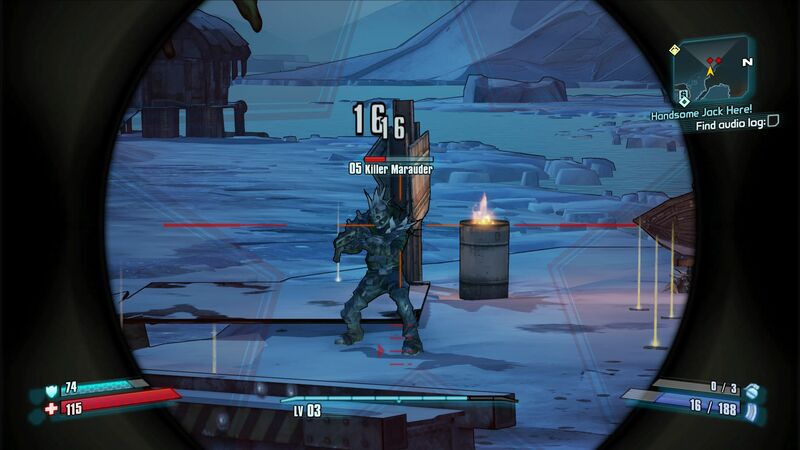 Since rivals are not respawned after their elimination, the village is perfect for measurements. The performance is lower here than in other areas due to the numerous lighting elements and objects. It is hardly interfering that the frame rate in the inventory drops clearly in practice. The used Unreal Engine 3 leaves us with mixed feelings. The nice effects have to be mentioned primarily on the pro side. It bangs, crashes and explodes everywhere. The moderate hardware requirements and short load times are other plus points. We primarily criticize the weak textures, whereas the comic look can cover this flaw well. The known reload problem of the Unreal Engine (a few textures appear delayed) not only turns up when opening loot objects, in the menu or changing the region and at game start. 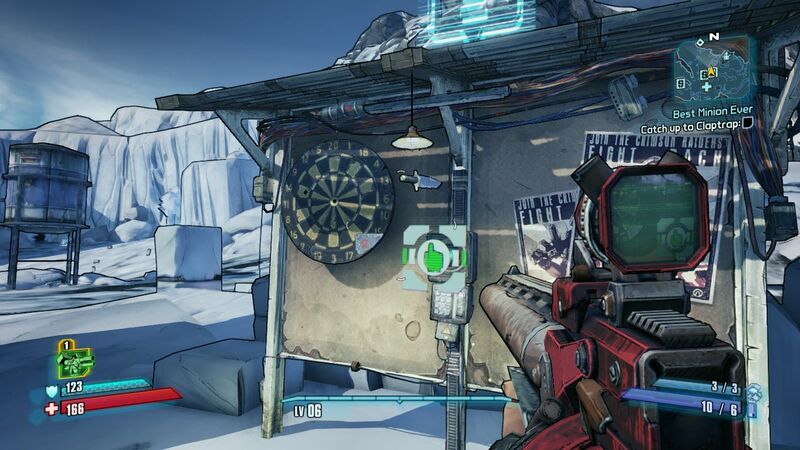 Borderlands 2 has otherwise been adapted wonderfully for the PC platform. The controls as well as the graphics can be configured extensively. Thus, an item for shader based FXAA anti-aliasing, depth of field and the built-in ambient occlusion are found besides other things in the option menu. Texture quality, game detail and view distance range from "low" up to "(ultra) high" and vegetation can be set to close or far. However, some options (e.g. display of bullet holes) are hardly noticed during the heat of the battle and/or have minimum impact on the performance. Vertical synchronization (prevents line interlacing) and the optional fps controls were naturally disabled during the benchmarks. Almost all changes can be performed in-game. 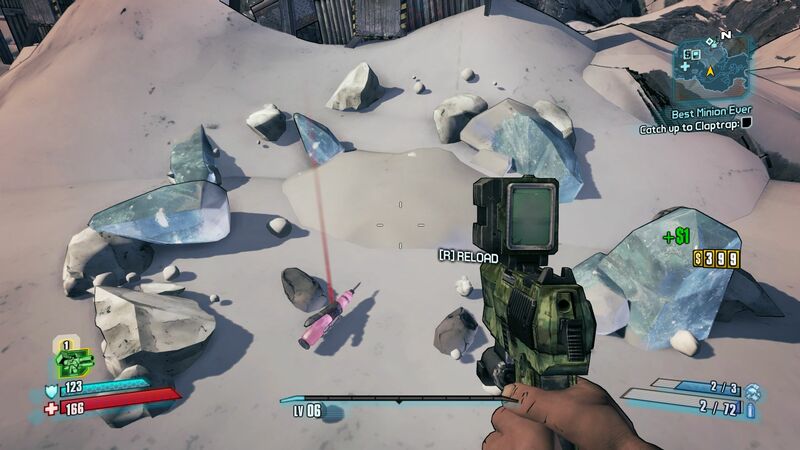 Restarting is only necessary when the PhysX level is modified. 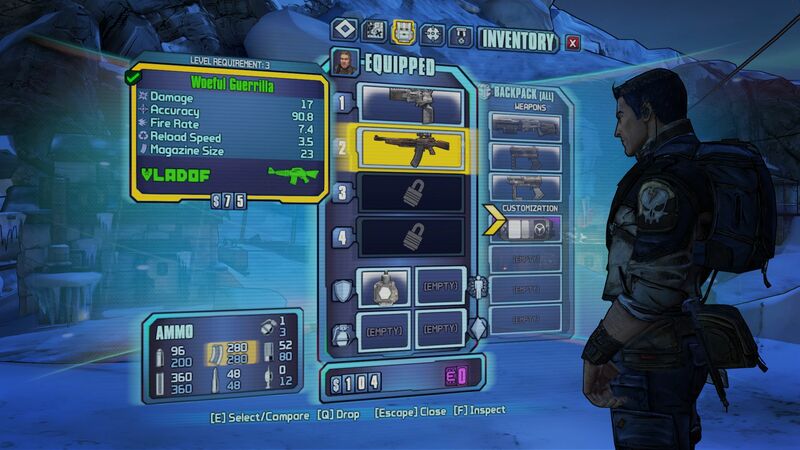 A minor bug: Borderlands 2 occasionally misinterprets the set resolution. Thus the game stated 1360x768 pixels although we set 1024x768 pixels on a laptop. However, we can give the all clear signal: the selected resolution is always implemented correctly. 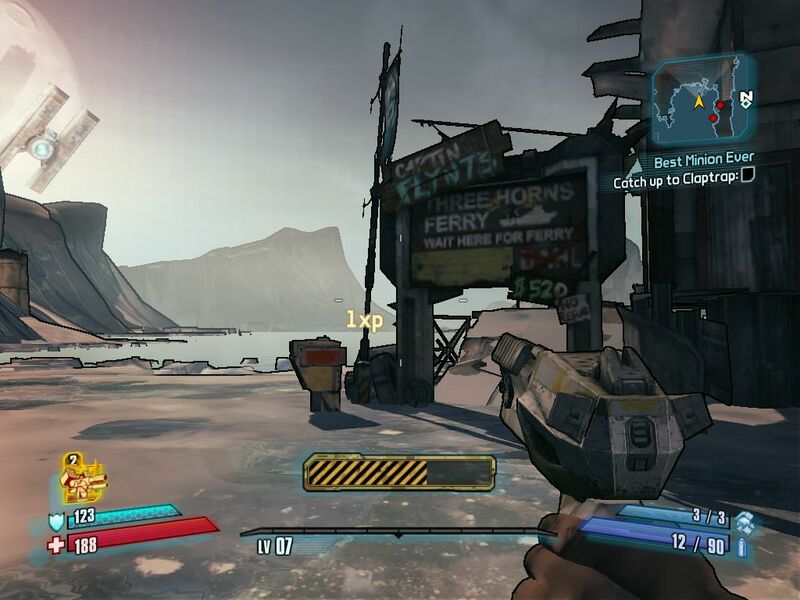 Borderlands 2 definitely cannot be considered one of the most computing-intensive games. In contrast to other action games, such as "Battlefield 3" or "Sleeping Dogs", you can enjoy high details and 1920x1080 pixels with an upper midrange GPU. A GeForce GT 650M managed our ultra setting (FHD, high/on, FXAA, 8x AF, PhysX low) with good 36 fps. 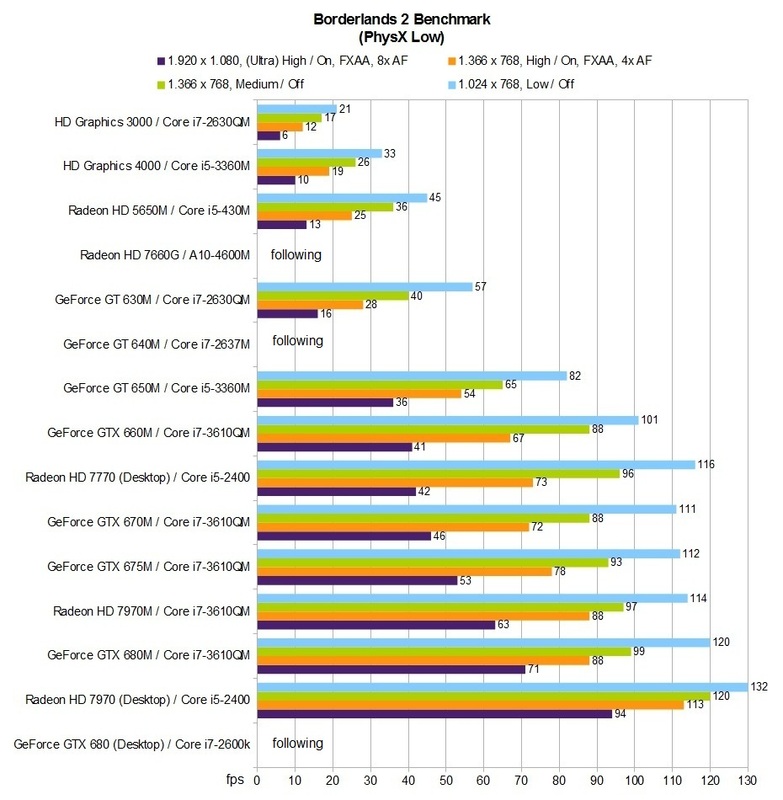 Weaker all-round graphics cards, such as the GeForce GT 630M, are overburdened by high settings. The power is easily enough for medium details and 1366x768 pixels though. Entry-level models on a par with Intel's HD Graphics 4000 only power low to default details properly. 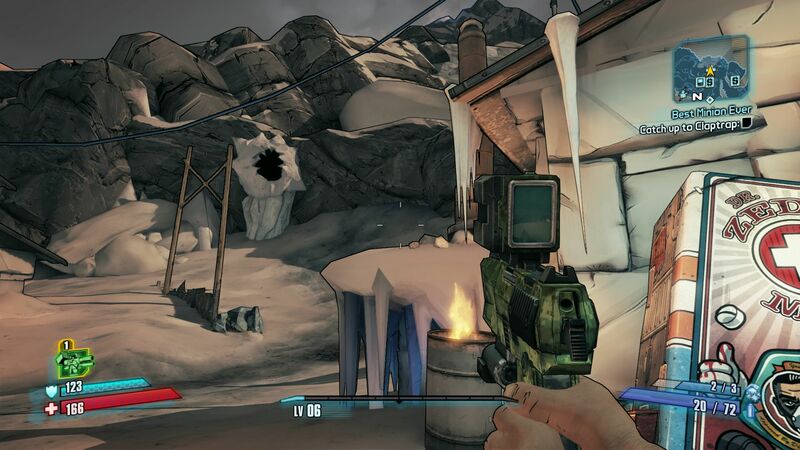 The game generally stutters on an outdated HD Graphics 3000. 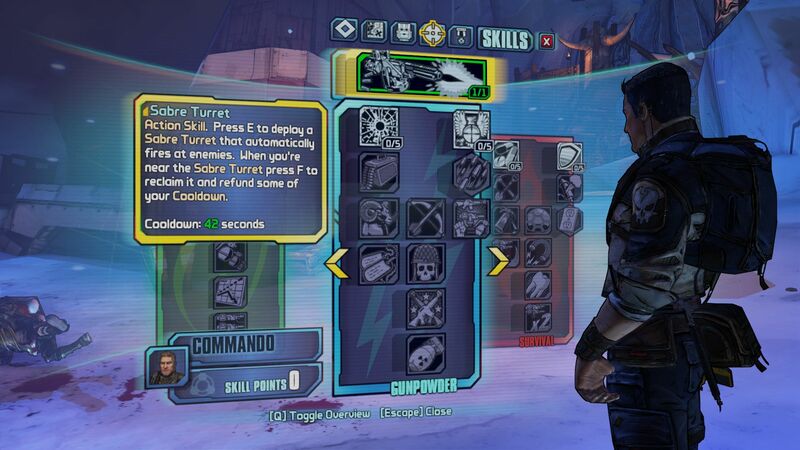 Borderlands 2 does not place high requirements on neither the CPU nor working memory. 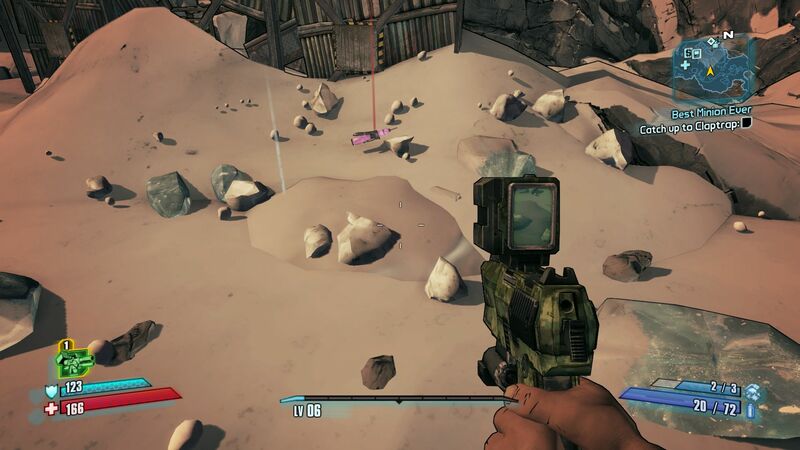 Regardless that the PhysX option is currently not grayed out in all AMD systems, the extended PhysX effects are reserved for Nvidia users. 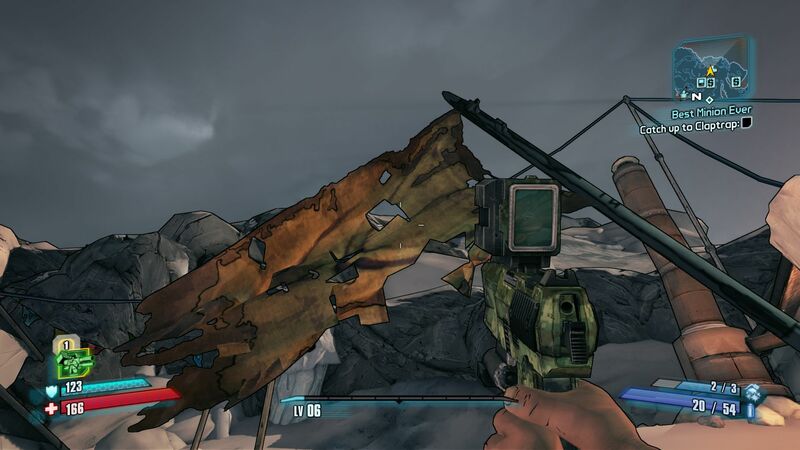 While a few elements, such as flags, are omitted and destroyable objects only burst into few single parts on the lowest level (which should equal disabled PhysX), the player can enjoy a lot more in medium and high levels (see screenshots). Massive differences are also seen in combats (muzzle flashes, blood, etc.). 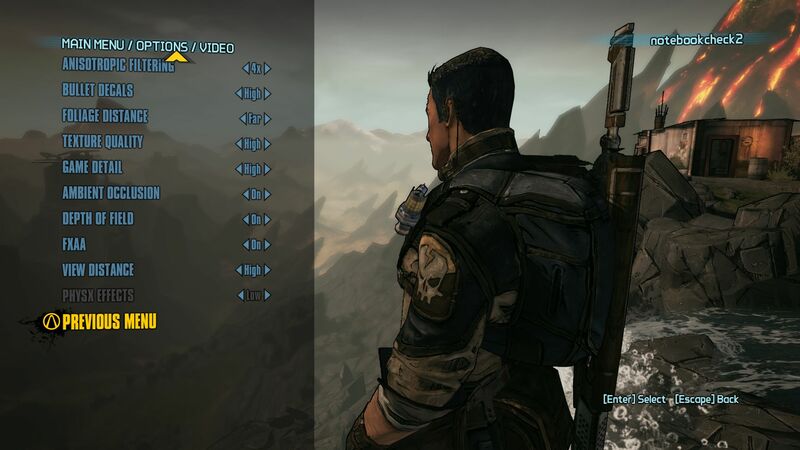 A short test on the GeForce GTX 680M showed that our benchmark remains quite unaffected from the PhysX setting. This is no surprise since the sequence hardly contains physics. 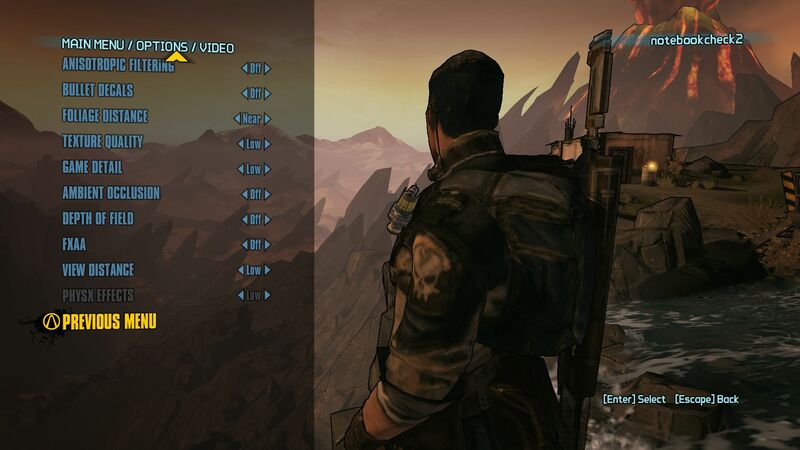 The GTX 680M's performance varied between 71, 67 and 65 fps in the ultra setting (PhysX low, medium & high). 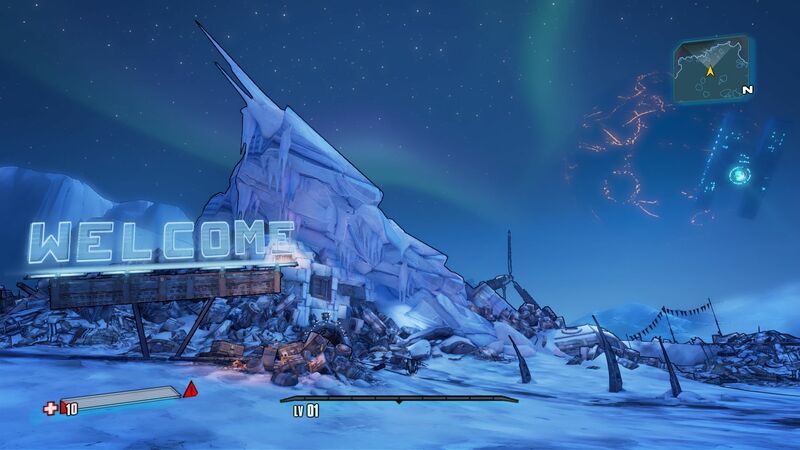 Borderlands 2 is definitely worth a peek. 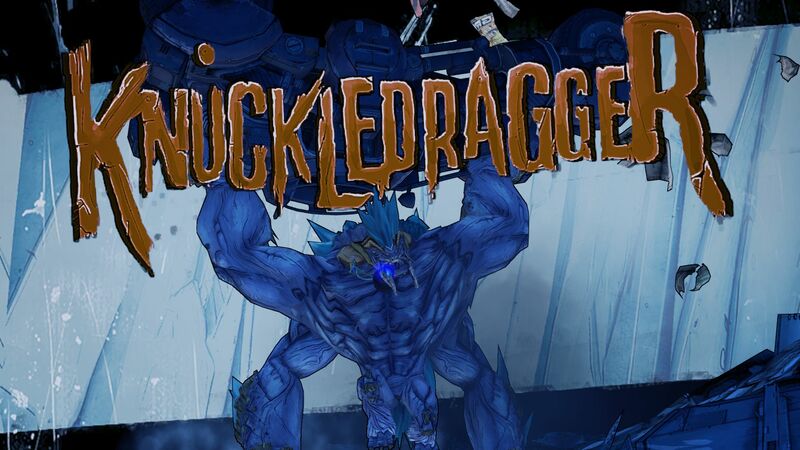 Gearbox created a unique action-role-game mixture that will certainly find many followers. 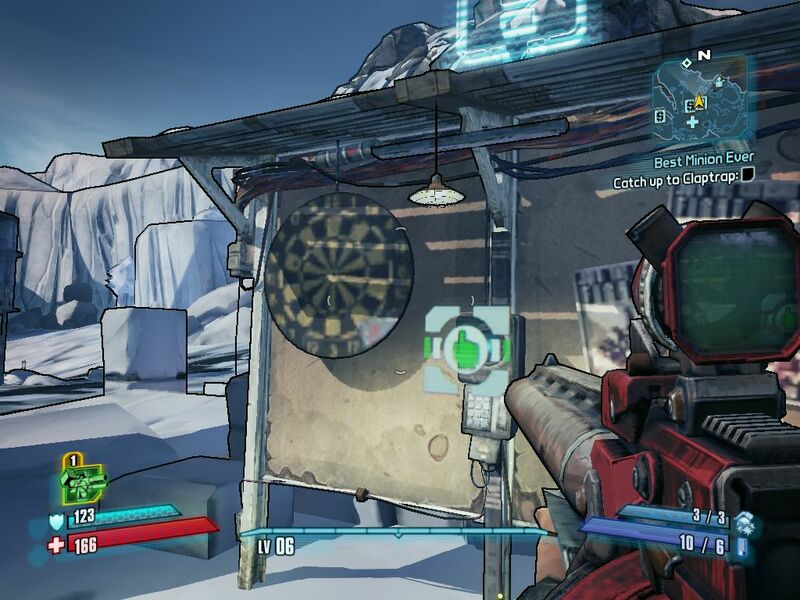 This amount of gaming fun is rare – no matter if in co-op or single mode. It is also convenient that a high-end laptop is not needed for the game. 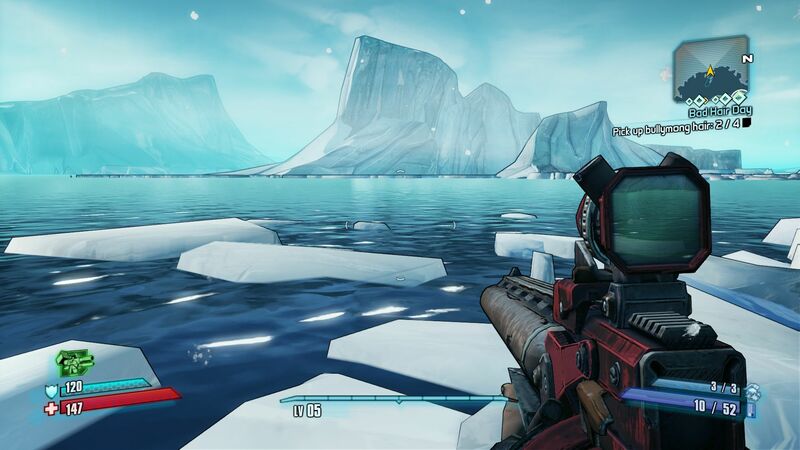 The game offers pretty panorama pictures. The developer shows a big sense of humor. The representation of water is quite appealing. The GPU driver versions used for the listed laptops were 306.23 (Nvidia), 8.951.6.0 (AMD) and 8.15.10.2761 (Intel).